Length: 6 Feet, Width: 91"-96", Height: 54"
Don't let too much sun cut your boating day short! Taylor Made Bimini BoaTops® provide lots of refreshing shade while affording you visibility over your windshield instead of just through it. 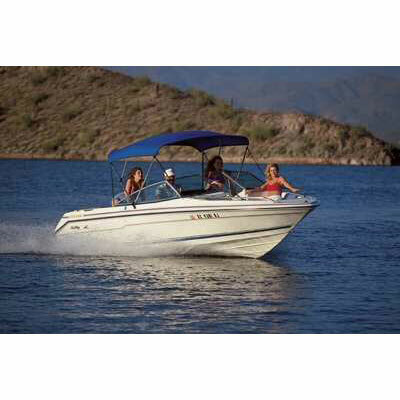 These tops are freestanding, providing more air circulation, and can be mounted in several locations on the boat.